May is nearly done. It has been a crazy month on many fronts. I have a couple of client finishes from a week ago. This one is a 71" quilt that I tried like heck to pull a semi-custom out of. Sometimes budgets are better suited to edge-to-edge, but the owners and the quilts have other thoughts. I do try to accommodate when possible. The owner wanted something in the white squares and the sashings. The rest of the areas (very wide border and "x") was destined for a continuous filler. It's denser than most pantographs, so it does take longer. The center of the quilt has this rose block, which has a little bit of custom framing and feathers. I like this sashing design that I dreamed up. It surprised me though that the 1" sashings on this quit took 1-1/2 hours though, not counting the ditch stitching! 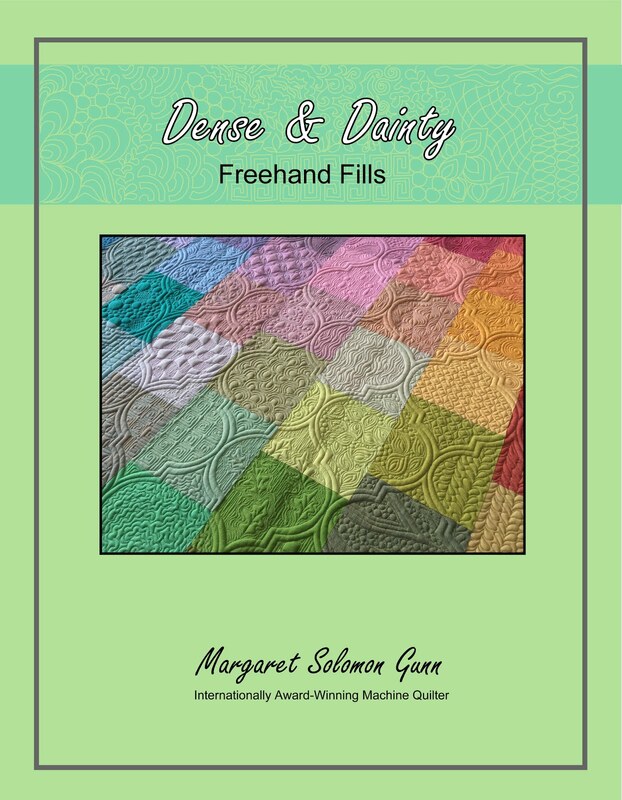 It is stitched with a combination of circle arc templates and freehand, and is intended to enhance the white diamonds in the body of the quilt. My client Jan from Napa, CA sent this next quilt. 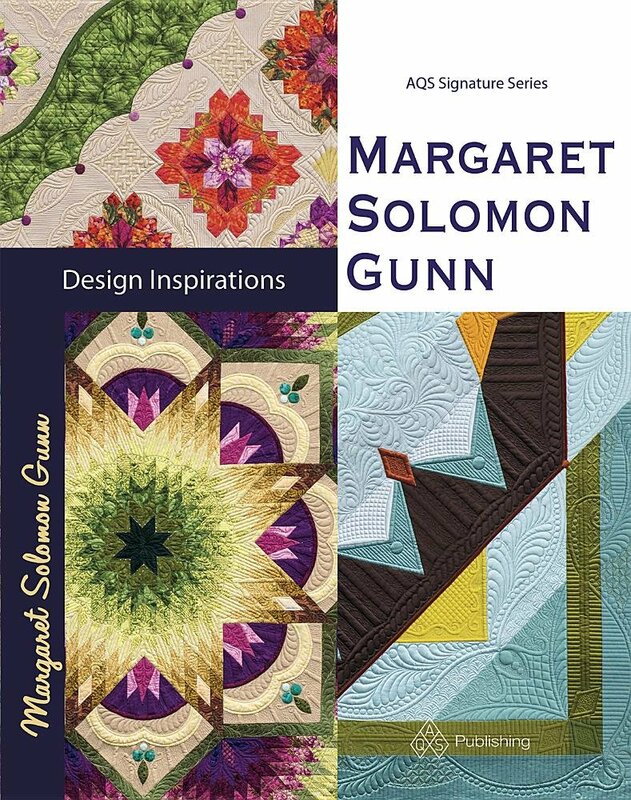 She's a wildly prolific applique quilter. Her instructions were that it "didn't need my usual creativity and beautiful artistry...it was just going to be dragged around by a child"! Sometimes keeping it simple isnt the easiest request, especially on applique quilts. They have inherent time-suckers. I kept the background fillers to simple and continuous, not-too-dense designs. I also kept as many as possible in the same color thread. Thread changes can also be a major time sucker of applique quilts. All appliques are ditch stitched - that is an absolute must. The outer border has a mostly free-hand design with these chevrons and stippling in a primary-color variegated thread. I did not ditch that striped 1" border...I must admit that it kind of bugs me, but no kid will be bothered. The more important thing since this is going to a kid is to be sure that appliques are stitched on sufficiently to give them increased stability. It's a cute and functional quilt, but not heirloom quilting! Finally the weather is turning half-nice here. After the winter we had, this is well needed. Yesterday was spent sitting for about 5 hours at a baseball field in 80's temps (husband whining about how hot it is). Good grief - it should be warmer. I joke with the kids that if he ever kicked off, we'd be moving south within the month. Little do they know that it's really not a joke though! I spent last week quilting 4-1/2 days on my silk whole cloth. I'll show pics sometime soon. 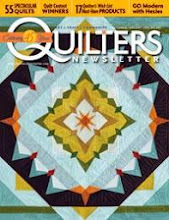 In the meantime, I am back on a couple more weeks of client quilts. I have mostly stopped taking in new quilts for the summer. I have a hope (yes, we can all dream!) that I will get through the 7 customs I have before the kids are home in 5 weeks. No guarantees though!. Here is a pretty twin quilt that went home last week. It has 80/20 batting and YLI polished poly thread (I think!). Mostly, this was simple custom quilting. I don't want to overthink quilts like this. 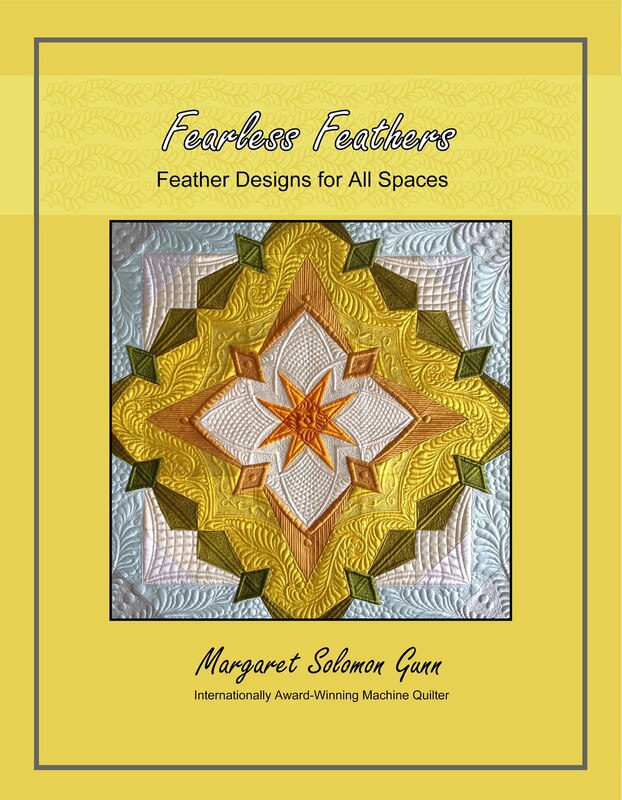 It is about quilting pretty (feathers, etc) where they will show, and keep it simple and pretty elsewhere. Nice, well thought out designs are often a waste with heavily printed fabrics. Ultimately, they are what you tend to see, so let them. I used some nice-sized fills in busier areas. They still give decent texture without requiring marking. This is a plus. The lighter fabrics get feathers because this is where they will show. Every day is nuts with one of my boys having either baseball games or practices. All of the usual end of year stuff is crazy enough, but we have one boy in 2 baseball leagues, and the other plays on the middle school (and soon Babe Ruth). Sophie has a recital coming up for ballet, and they have a band concert. It all makes my head spin this month! So, with that, I will bid you adieu, and promise to come back soon with more pretty pictures. Thread for sale and Hexies! Happy Mother's Day to all of you! This was a good day for me to enjoy and get some things done. The day is nearly done, and I am not finished with my list, but good progress was made, and it was relatively relaxing. The important things like helping Sophie do the quilting on her quilt due to VQF in 4 weeks are done. 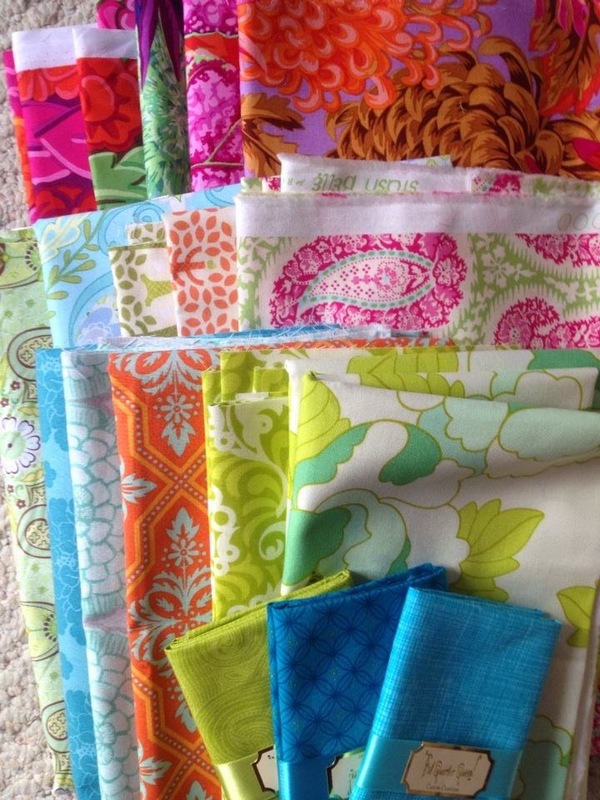 I need ideas on how an 8yr old can bind a quilt without tears (from her or me!). I am also cleaning out getting ready for a big garage sale. I have these to offer to whoever wants them. 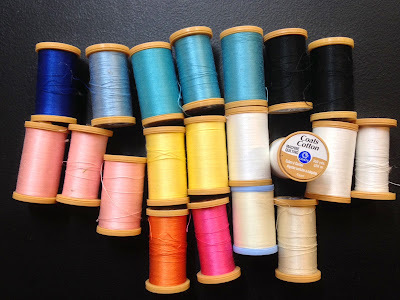 They are Coats and Clark all cotton 35wt, machine quilting thread (sold by Joanns for $3.49 per spool). I will sell the entire lot of threads here for $25 and I will eat the domestic shipping cost. That is $1.50 per full spool and $1 for the mostly full/partial spools. There are 11 full spools and 9 mostly full spools. Please email or post if you want this. Here's a couple pics from our family's annual homage to the Portland tulip gardens. It often coincides with Mother's Day, because that is when they tend to be blooming. This is something we have done every year except for only a couple since my oldest was born. Now, he's the most likely one to protest and not want to smile. The way I see it, I will likely have 5-6 years of pictures where there are grumpy looks. Thankfully my daughter still enjoys the trip. The Hexies...This is my current hand piecing project. I have a massive bag of large-scale, mostly modern prints that I am cutting these from. It started as a project borne solely from my stash fabrics, but then I went to Paducah and completely fell off the wagon. These hexagon blocks are about 12"x12", and have 37 pieces. They have 90 hand pieced seams, and take about 5 hours to stitch, and another hour or so to design and cut out. If I am lucky. The color palate is my favorite - aqua, bright greens, a little pink and yes, orange. I seem to be hooked on the hexies and orange. I plan to get the rest of the ones I have cut out stitched and then I will settle in on the setting for them. Part of me wants to introduce the silk again as a background, but I have no idea of the color yet. I thought I wanted that soft pink outer row, but maybe the deep pink flames will be better?! I think that this is the layout I will go with, but until it is stitched into a quilt top, it is anybody's guess. This week has brought another wonderful thing...and this is along the topic of this post, Hexies (this was made from the elongated Patchwork of the Crosses hexagons). 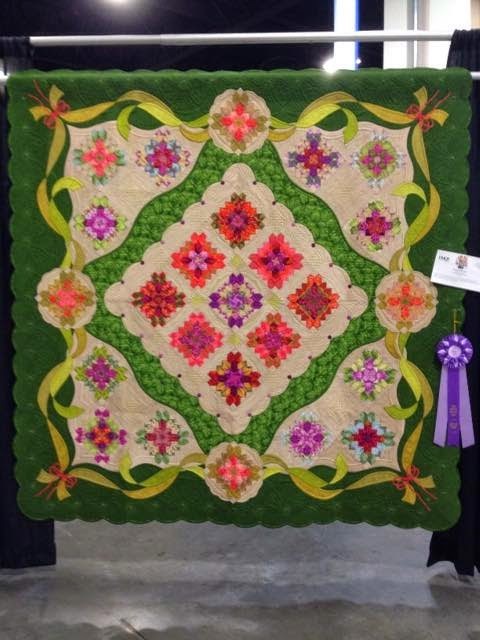 My quilt Bouquet Royale (Hexie experiment #1) won Best of Show at HMQS...the Home Machine Quilting Show in Salt Lake City this week. 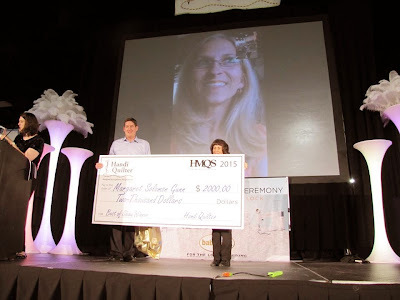 I was shocked and elated - this is a big show, over 300 entrants. The show kind of gave it away the day before when they insisted that we figure out how to face-time me in during the awards ceremony. They said that I was receiving a "nice award". I figured it was either this or the Solitaire award. Sure wish I was there in person to receive that jumbo-sized check!! May is here and finally is is nice to be outside. Our weather has gone from 40's to 70's in a matter of 2 weeks. It's pretty nice out there. But, I am stuck inside for a few more weeks, at least most of the working part of my day. I have client quilts to quilt off before school lets out 7 weeks from now. Here is one of Erin's. I get her's by the box-full. This was actually one of the last ones, but then she needed to send me a piece of backing and decided to send 7 more in the same box! LOL - gotta love clients that quilt that prolifically. This is a very simple 48" panel wall-hanging that she wanted to have a custom touch to. I quilted it with a pale gray YLI polished poly thread. It looks kind of like a silver metallic. (next pic is sideways...) I added simple flowers onto each corner to bring out that shape of the flowers in the panels. 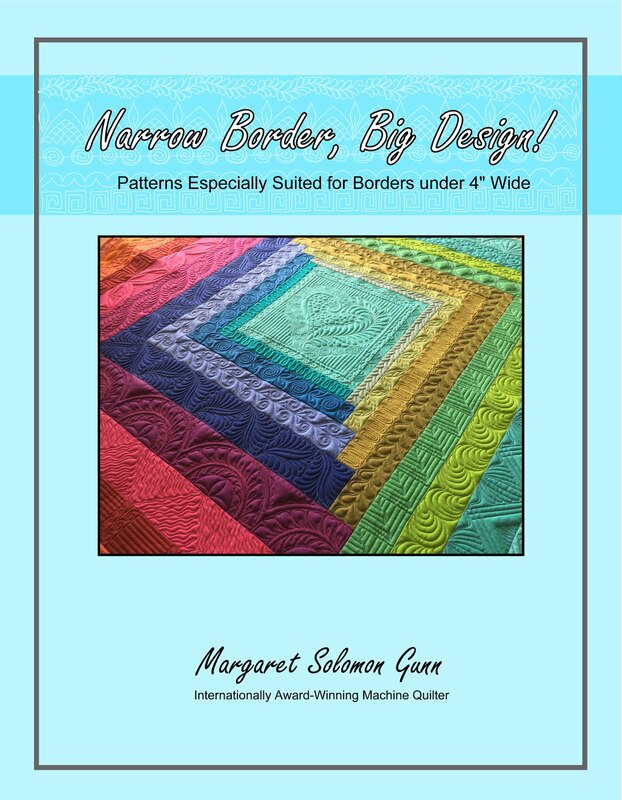 Each border and sashing is quilted, and the panels have a free-hand fill. 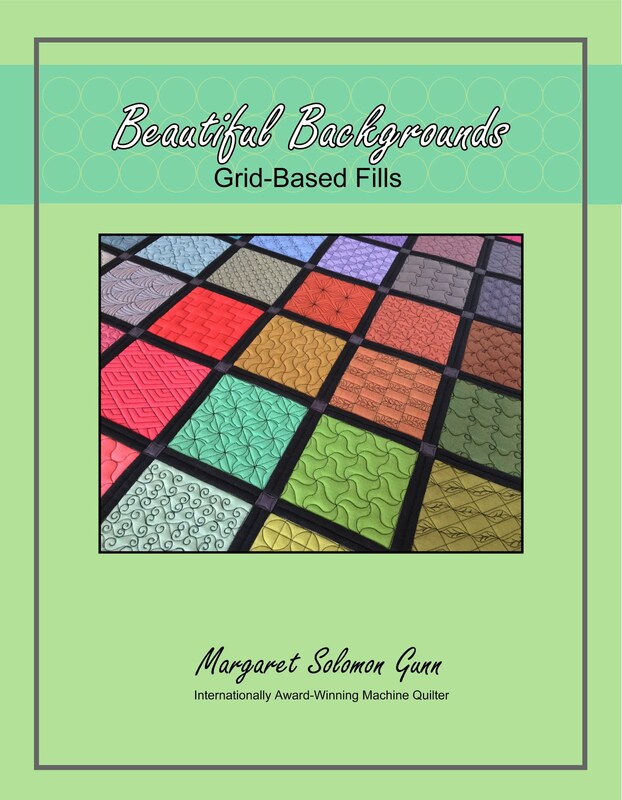 Printed panels are always a little challenging as to how to quilt them, but this seems nice and effective. This is another of last week's quilts. These are 2-7/8" squares, so that is a hella-lot of sashing. I spent SO many hours ditching the sashing - something like 6. I know it sounds insane, but there are reasons why it is so slow. Information for piecers - If you want to make a top that can be more expeditiously quilted, please be careful to have rows of sashings be as straight as possible. Also, and probably more important, be sure that seams all press neatly in one consistent direction. When ditch goes from one side to the other, the quilting must be slowed to keep as close to the ditch as possible. All said and done, this looks good, even if it was slow stitching. One challenge with quilts with small squares is what do you quilt in them?...There are 180-200 of these squares. 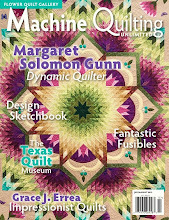 They really don't need excessive quilting, and in light of the cost, I didn't want to have 200 stop and starts either. I opted to go with the orange peel design. It is simple, clean, and fast. Who am I kidding?...this was not fast! I was just seeing if you were really reading this! Orange peels are a nice pattern for a repetitive design. One day before I took off for Paducah, I quilted up this silk sampler. It is a sample piece in silk (please pardon my less than great piecing, as my silks are not interfaced and were very shifty). I have stitched a bunch of fillers that will be the topic of an upcoming article. Next time, I will show some of my finished hexagon blocks. I have nearly 8 done now!